A US border patrol boat strayed into Canadian territorial waters while chasing "illegal immigrants" off the coast of Maine and Nova Scotia, Canadian fishermen said Wednesday. 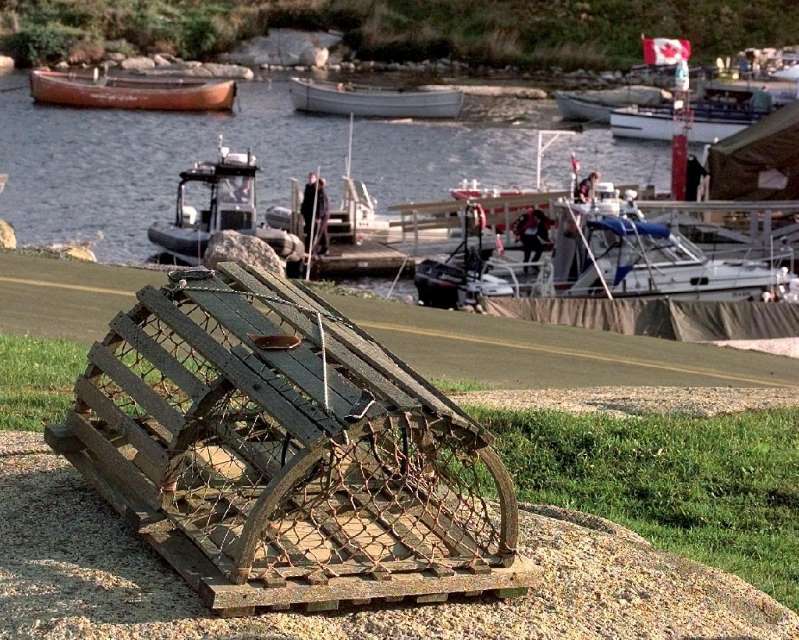 [post_ads]Laurence Cook, chair of the Grand Manan Fishermen's Association, said on Facebook that a US border patrol launch out of Maine "attempted to stop" a Canadian fishing vessel in Canadian waters. Grand Manan is a Canadian island in the Gulf of Maine, right off the coast that hosts the border between the United States and Canada. Cook said the incident took place on June 24 near the Machias Seal Island, a tiny rocky outcrop a dozen miles (kilometers) south of Grand Manan with rich lobster grounds, and whose sovereignty is disputed by Washington, although the Canadian Coast Guard maintains a lighthouse there. According to Cook, the Canadian fishing captain, Nick Brown, informed the US vessel that "he was a Canadian vessel legally fishing in Canadian waters." "Typical American bullies," said Cook, who said he was "not surprised to see the Americans trying to push people around." Ties between Canada and the United States have been strained since President Donald Trump slapped tariffs on Canadian steel and aluminum, citing US national security, with Trump calling Canadian Prime Minister Justin Trudeau "very dishonest and weak" after a spat at the G7 meeting in Quebec last month. "They claim to be looking for illegal immigrants," said Cook in his Facebook posting. "Pure b------t, to be illegal they would have to be in sovereign waters and they know it." The Canadian Foreign Ministry said it had launched an inquiry into the incident off Machias Seal Island, which Canada insists is its territory. "Canada's sovereignty over the Machias Seal Island and the surrounding waters is longstanding and has a strong foundation in international law," said Global Affairs spokeswoman Elizabeth Reid, adding that Ottawa was reaching out to the US authorities for more details on the incident. Trump has made cracking down on illegal immigration a cornerstone of his administration's policy, and his now-abandoned "zero tolerance" practice of separating migrant parents from their children at the Mexican border triggered international condemnation. He has also bolstered border security in the northern frontier with Canada, and the American Civil Liberties Union said US police had been setting up more checkpoints on roads leading to the Canadian border to check people's citizenship. Statistics show more migrants are heading out of the United States for Canada rather than the other way round, however.